Our indoor home grow rack system uses terraponics, not hydroponics or aquaponics, to grow plants 25%-75% faster than supplier estimates. While there are some plants that you can’t grow hydroponically, with terraponics, almost any plant can be grown. Terraponics uses soil cultivation which reduces the knowledge needed to start your own indoor garden. 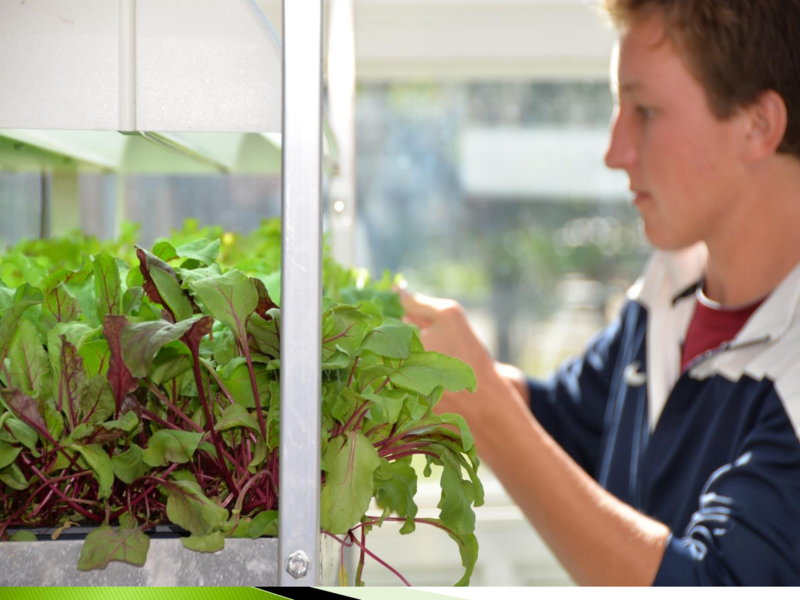 Hydroponics require more technical knowledge and training. Terraponics offers many advantages over hydroponics. Almost all plants can be grown with a terraponic system. Some plants cannot be grown hydroponically. The initial setup and operation of our Super Grow System is simple and easy. Our only inputs are water and some electricity! Hydroponics set up, operation, and maintenance costs can be very expensive. Terraponics applies the same principals as outdoor gardening. Hydroponics requires technical knowledge and training.. The Hydroponics water chemistry can fluctuate greatly and must be constantly monitored and maintained. Plant uniqueness is minimized, so disease will affect all plants. If the hydroponics water system fails, plants will die and dry out rapidly. Terraponics plants pull nutrients from "primitive soil" making nutrient dense, better tasting food. Some hydroponic methods require the purchase of an artificial "soil" substitute medium for each grow cycle. Terraponics plants are grown in their native environment providing naturally achieved nutritional value and causing less stress and shock to the plant. Indoor terraponics give commercially viable yields. If being sold for profit, hydroponically cultivated plants usually provide less of a return on investment. Hydroponics plants have tend to have a short shelf life once removed from the solution. Produce can only be fresh in grocery stores a limited number of months of the year - The produce that is being sold in reality has really been grown and harvested sometimes weeks before it is sold to you. This is just a sample of some of the produce that we consume throughout the year and the amount of pesticides that are used to grow them. Zero is the number of pesticides used when growing produce organically with the 24:45 Organics SuperGrow System. More nutrients are found in organically grown fruits and vegetables than in conventionally grown. The patented technology developed by our founders set the standard for indoor growing. Many have come up with alternative means to grow indoors, but none offer the advantages of our home grow system. Other systems, for example, trick the plant into believing it is in soil by adding different nutrients to a water bath. In addition, many popular food plants can’t be grown in these systems. Meanwhile our system can grow most any plant. Our primitive soil system adds nutrient denseness to the plant’s needs while growing in the soil. These nutrients then become available to humans upon consumption.